1. Hydrate – After cleansing, reach for a luxurious skin oil rich in Vitamin E and essential fatty acids such as Argan. 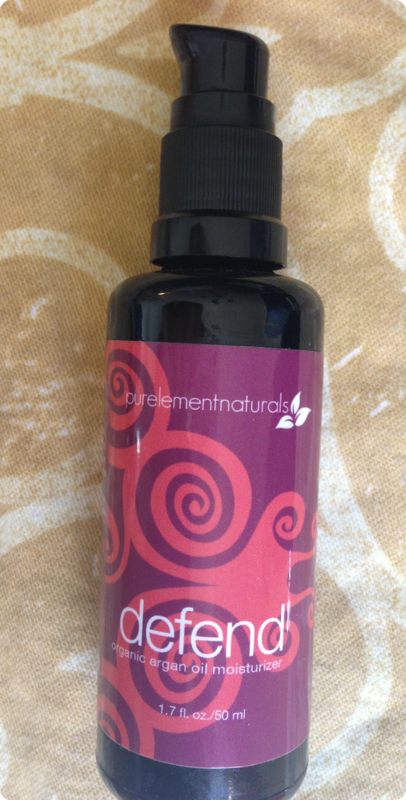 Right now, I am loving defend organic argan oil moisturizer from purelementnaturals. Not only is it ideal for improving dry skin, contrary to old beauty school beliefs, oils act as an effective moisturizer without clogging pores and help to balance oil production in the skin, making it great for oily/combination skin as well. defend tightens, clarifies, hydrates, regenerates, and softens the skin. You can use this delicious blend of argan oil and essential oils (it contains: Argan oil, lavender, frankincense, bergamot, carrot seed, myrrh, and geranium) anywhere your face, body, or hair needs it. In the morning, I use just a drop or two of defend mixed into a light moisturizer that has SPF in it. At night, I use it as my sole moisturizer. Honestly, my Clarisonic, the introduction of a retinol into my routine, and regular use of Argan oil have all been truly transformative for my skin. 2. Rejuvenate – The right skincare products can help you to achieve a healthy ‘rosy’ glow, without the use of makeup, by promoting healthy circulation in the skin. 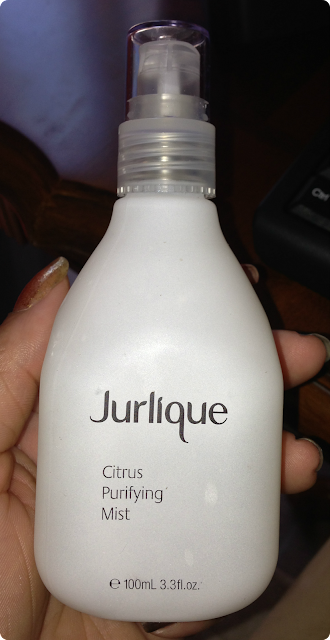 I love Jurlique's Citrus Purifying Mist. Not only is it a cool and refreshing pick me up for your skin, the mist also energizes and purifies, and leaves my oily skin feeling refined and refreshed. It contains Witch Hazel and Lemon Balm to clarify, rebalance oiliness and restore softness, Glycerin and Aloe Vera to help soothe skin and prevent moisture loss and Vitamin E, C and Grapefruit Seed provide natural antioxidant protection. 3. Repair – You can help repair damaged skin naturally with certain oils. If you're looking for a heavy dose of moisture and healing for your face, I highly recommend L'Occitane's Instant Hydration Masque! It is an ultra fresh and rinse-free gel that rehydrates even the thirstiest skin in just three minutes, with a unique complex of organic angelica essential oil and angelica water, for a natural hydration boost. Try using it overnight as a facial treatment and wake up to soft, naturally plumped and healed skin. 4. 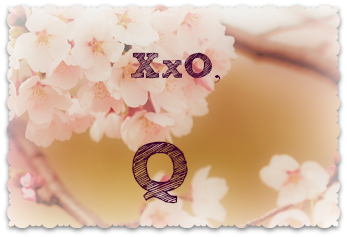 Protect – Have I mentioned how much I love Argan Oil? Well another reason I love it, and defend in particular is that Argan and Frankincense are particularly helpful in preventing scar tissue and keeping existing skin cells healthy. A layer of oil on the skin is also one of the most effective ways to keep environmental toxins like pollution and microorganisms out. 5. Pamper –Your face isn't the only part of your body that needs extra care right about now! Hands and cuticles often become dry and cracked due to the extreme change in weather. Though I didn't particularly care for the Burt's Bees Intense Hydration Body Lotion, I do love the Ultimate Care Hand Cream from the same line. It is AMAZING how it is able to leave my hands feeling so soft and smooth but not the least bit greasy. 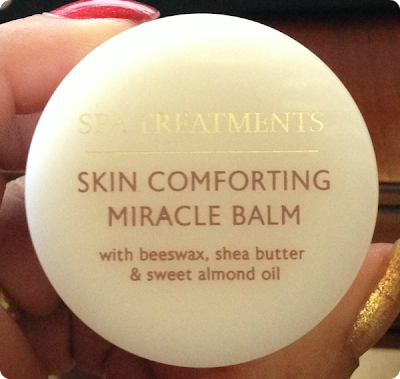 I use it alone during the day, but at night I combine it with Champneys Skin Comforting Miracle Balm. This luxurious, rose scented balm can be used anywhere your skin is feeling especially parched, but I use it for my cuticles (and as a lip balm sometimes too), and I can already see a huge difference in my cuticles and nails! And let's not forget our feet! Just because sandal season is over, and you'll be covering up those toesies in thick socks and boots for next couple of months, doesn't mean they don't need some TLC too! 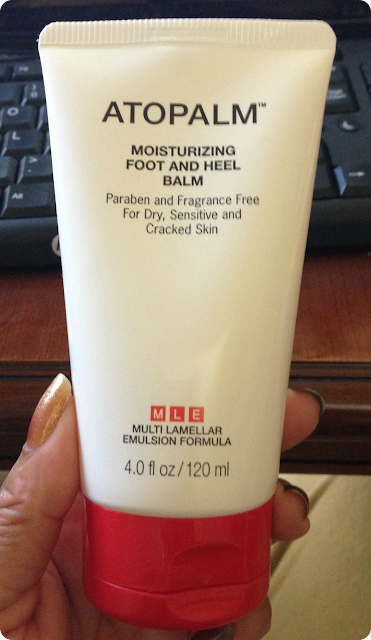 I'm still a huge fan of Atopalm's Moisturizing Foot and Heel Balm. I slather its minty goodness all over my feet and then cover them in thick socks, every other night. I've also been loving Reviva Lab's Vitamin E Stick lately. Not only can I use it to sooth cuts and burns that the girls and I get from time to time, when I've worn particularly stubborn eye makeup and put some wear on my delicate eye are trying to remove it, the stick provides just the comfort I need to sooth the area. Hand cream and foot cream are essentials for me in colder weather. My skin gets so dry in the fall and winter. I think these products are really great for fall season. I myself make sure that I have the best kind of moisturizers. I am going to try these products one by one.